Mr Green is the famous award winning online casino that launched its revolutionary casino in 2008. The number of awards that Mr Green has won since then are impressive and includes IGA Online Casino operator of the Year (2013, 2014 & 2015), EGR 2014 Highly commended Slots Operator, EGR 2014 Casino Brand of the Year, EGR 2012 Socially Responsible Operator of the Year, INTERNETWORLD TOP 100 Award 2014, 2013, 2012, 2011, 2010, 2009 and EGR “Power 50” Influential Gaming Company. The reason for Mr Green’s success can be explained by being the first of its kind to offer a games portfolio made up by several different casino games providers. Since Mr Green pointed the way, numerous online casinos has been inspired by this ground breaking product concept which now has become more or less a set standard for new online casinos. Mr Green’s casino games selection includes the best slot games from games providers such as NetEnt, Microgaming, IGT, Bally Technologies, Nextgen Gaming, Thunderkick, Play ‘n Go, Yggdrasil Gaming and Leander Games just to name a few. Mr Green is a forerunner in the online casino industry with their fantastic technology and design aimed at providing a one-of-a-kind online casino games experience in combination with the best bonus offers and outstanding customer service. Mr Green is operated by Mr Green Limited (Malta) which is a subsidiary of Mr Green & Co AB (Sweden). They are licensed by the Malta Gaming Authority, Danish Gambling License, UKGC (UK market) and AAMS which allows them to operate in the Italian market. Mr Green’s casino is available in the following languages: English, Swedish, Finnish, Norwegian, Polish, Dutch, German and Czech. Mr Green offer very generous welcome bonus packages. However, the bonus amounts and the number of bonuses vary some from one country to another. + 220FS in the welcome journey. 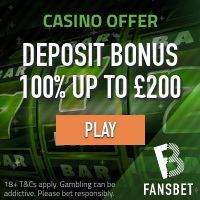 United Kingdom 100% up to £100 + 100 Spins on Starburst on £20 deposit & wager + 20*5FS on different games Deposit and bet £20 (min odds 4/5) to get a £10 free bet. + 5 free spins a day for 20 days. Mr Green accepts all major payment/withdrawal methods including credit/debit cards, Neteller, Moneybookers, bank transfers and numerous regional payment solutions. Mr Green offer an impressive selection of online casino games. All the latest, classic and most popular games from the top games providers are available including their very own “The Marvelous Mr Green Slot” provided by NetEnt. Some of the most popular slot machines at Mr Green are Jack and the Beanstalk, Gonzo’s Quest, Foxin Wins, Twin Spin, Thunderstruck II, Dead Or Alive, Terminator 2 and Castle Builder. We’re sorry to hear that you have experienced issues with the Mr Green bonus. Have you contacted them? If not, we can contact them to check what the problem might be. In order to do so we need you to send us your Mr Green username to support@cybercasinoindex.com. There is a special promotion at the moment on Mr Green Casino. Did you check if the Free Spins are available in Hansel and Gretel video slot?